Driven by desperation to make a last-minute-but-priceless birthday gift for a little friend, I got out the machine and opened up the manual. 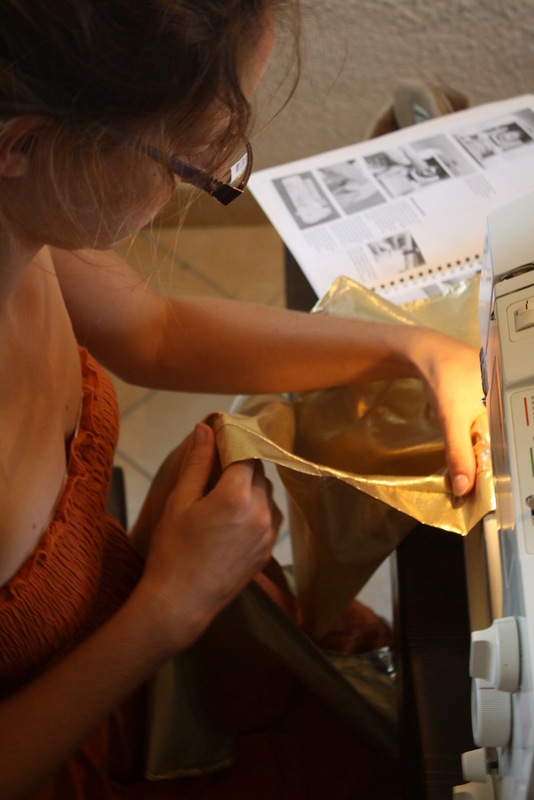 After a little bit of coaxing and studying, the machine came to life and began to do the same things my mother's wonderful old Bernina did for me all throughout my childhood. 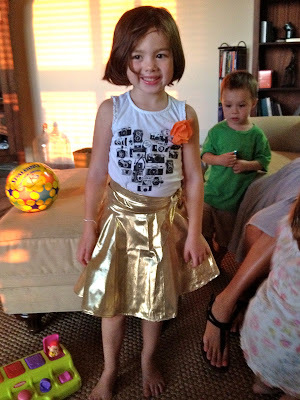 I made Elise a skirt using this pattern, and it really was almost as easy as that blog's crafty mama claims it will be. Unless, of course, you have no elastic and nowhere to buy any, so at the last minute you have to convert it into a wrap skirt. And the best part of all of it was that Elise loved the skirt! She wore it that evening at her birthday party. And then she melted my heart the next day when she walked into church wearing it too. Lena, what would you like your mama to sew for you? How about some fabric beach balls? Comin' right up! The fabric beach balls were one of my first projects, too! Don't be disappointed when they come out lumpy. Stuffing is an unknown art form, apparently! This is so great!! Congrats on working with the machine. I need to sew some extra length onto a dress... maybe I'll try this weekend. 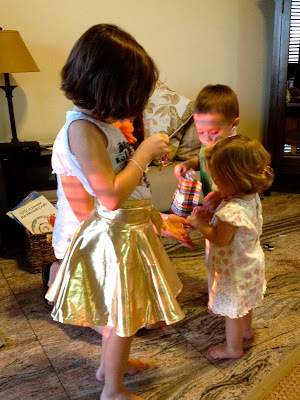 The skirt looks fabulous and I am so glad the recipient loved it. I too got a sewing machine from my mum as a house warming present about 2 years ago and so far all I have done with it is wind 3 bobbins. Haha, Di, I can so relate! (Obviously.) The first time I pulled out my machine I couldn't even figure out how to wind a bobbin and so did it by hand, then couldn't get the machine to turn on, and then just put everything away. For about 8 months. Sigh. This is changing! Thanks for your thoughts and encouragement for Jackson's scoliosis treatment. We traveled to SC this week and will travel there again on Monday. Stay tuned for a blog post ... I hope to squeeze one in if I can. Lena is so lovely. I love looking at her pictures on here. Your lives fascinate me! What a beautiful and culture rich way to grow up. Hope you're doing well. Take care!